It's Day 3! I hate Corrupted police in Malaysia!!! *Repeats infinity times* They are the reasons why people have a bad impression of M'sia police! I hate them! If I have weather controlling abilities, I would either 1) Strike all of them with lightning, or 2) Sweep them all away with a typhoon. Die Die Die! Opps, you must be wondering what's with the angst. I shall explain later, must go with the flow... 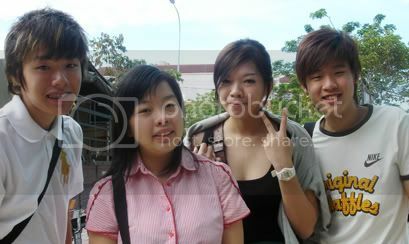 It's Day 3, and we planned to go KL from Malacca! 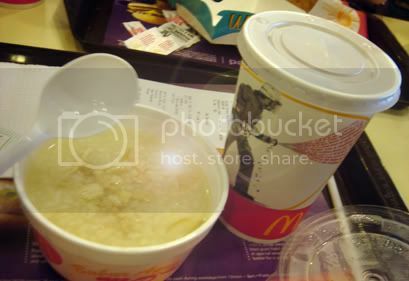 Had our breakfast at the usual place since we can't think of anywhere to go, Which is Macdonalds. AGAIN. 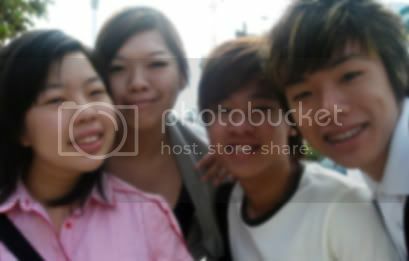 But this time, I had Something that is not available in SG! Ayam bubor! Which means Chicken Porridge in Malayu! Here's a nicer group photo for Day 3! P.s: I photoshop de leh! Cute right? Oh ya, halfway through the journey, we were stopped by a road block. Seeing that we are tourist, they ask Guna to park the taxi at one side. Then they took our ICs, and start asking a lot of questions. Like if we are student, where we study, where we live (as if they really know where it is!) BUT the main objective is MONEY. 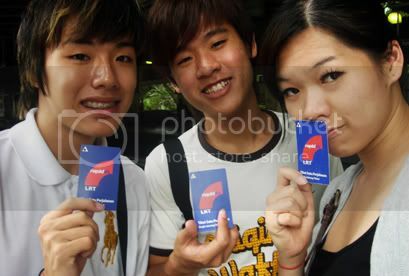 The reason is because our passport is not with us, we left it at the hotel locker, just in case we lost it. And they refused to accept our reason AND even threatened to lock us up! IDIOTS. But after 20 mins, they let us off saying "Leave! We don't want to see you again!" 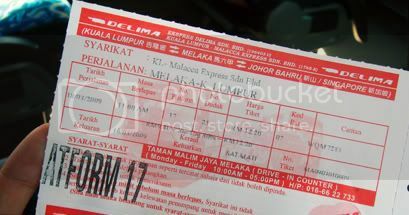 If I can control the weather, i would *refer to top of post* Then we went to Malacca Sentral and bought the coach tickets. Still feeling pissed off. Tickets cost only RM12.20 per person! It's like so farrrr away! Impossible to walk over, so the next time we did, is to ask for directions. So after some communication problems (most M'sian speak Malay! 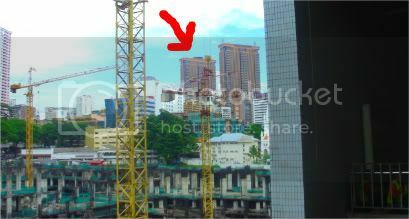 ), we found out the only way is to take a train from Plaza Rakyat to Hang Tuah then change monorail to Imbi. Totally alien. Finally 3 tickets and we are on our way. Bravely. Choo Choo! Here comes the "Cha-pa-lang" train! Soon, we were at Times Square! It was 12 noon, and according to schedule, we have 5.5 hours to get whatever we want! 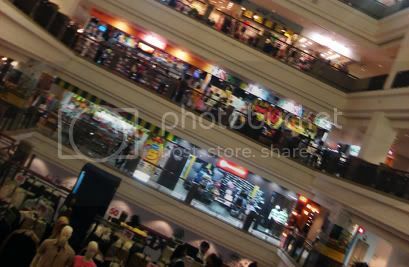 There is like so many many shops in the whole mall! There is also a lot of fake goods! LV, Gucci, Burberry blah blah blah. Did you know? 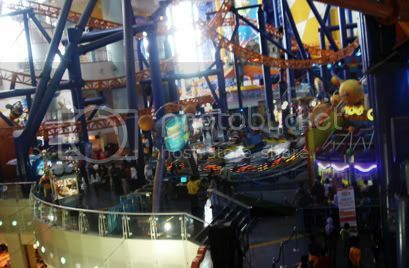 There is a indoor theme park in Times square! 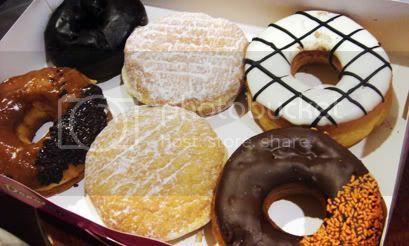 We dapao-ed Malaysia famous donuts - Dunkin' Donuts back! We were feeling super tired and was too lazy to leave our hotel for dinner. 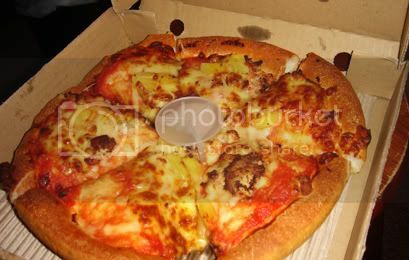 (Not forgetting Super hungry) So we called for Pizza hut delivery! One pizza each! and mine is Hawaiian! 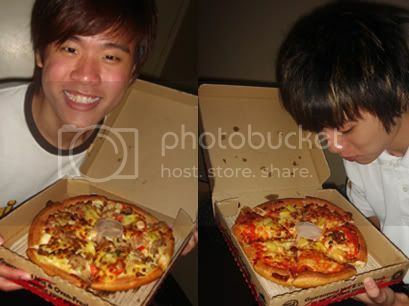 Happy us with our pizzas! It's only SG 5 bucks each! 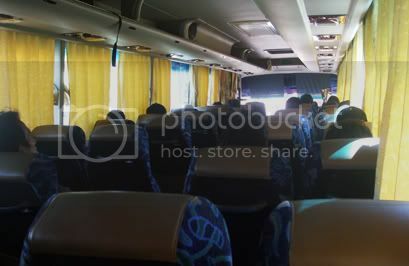 After that we bath, watched TV and soon, we were all tired and decided to sleep... Next day would be the actual tour of Malacca! Stay tuned.